The Colorado Permanente Medical Group, P.C. (CPMG) is an 1100 plus multi-specialty physician group practice that contracts with Kaiser Foundation Health Plan, the nation’s largest nonprofit integrated health care delivery system, to form Kaiser Permanente. Kaiser Permanente proudly serves more than 600,000 Coloradans. Colorado Permanente Medical Group Physicians benefit from having access to a robust electronic medical record system that supports the delivery of proactive, coordinated care. As a CPMG physician, you are part of a health care team that includes clinical pharmacists, allied health professionals, and care managers who focus on providing the right care at the right time. We are a physician led group and our patients are at the center of our decisions. 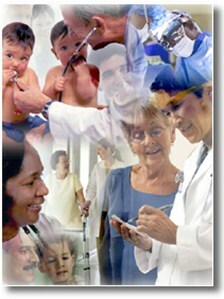 CPMG is committed to being part of the solution to the current challenges Americans face in accessing health care.